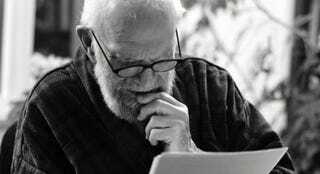 In the past day you may have seen the internet lighting up with appreciations for the writer and neurologist Oliver Sacks. He died yesterday at age 82, leaving behind a lifetime of illuminating writing that helped us to understand our own brains as beautiful, imperfect machines. Here are a few of our favorite books and stories. Sacks was many things but he was above all prolific. He was writing until the very end, publishing a story about the importance of the Sabbath in The New York Times August 14. While he was a student of medicine, he heartily embraced new technology and had a lighthearted tone that oscillated between witty and outright hilarious. Any topic he tackled seemed to sparkle in his hands and leave the reader enlightened. If you were a Sacks fan, please leave your own reading list suggestions below. This essay in the New Yorker might be the way that you were introduced to Sacks—or at least the idea of face-blindness, or prosopagnosia, an affliction where you can not remember faces (among other things). What’s fascinating here is to watch as Sacks’ slowly confronts his own undiagnosed brain disorder. The doctor becomes the patient. Sacks is at his best in this beautiful boo describing the most bizarre and outlandish brain disorders to affect humans. While it might be easy to make a book like this feel like some kind of freak show at the circus, in fact, Sacks celebrates these patients like superheroes. Just to give you an idea of the wide-ranging wonder found in what could be a cold, clinical topic, this book was eventually turned into an opera. In 2012, Sacks wrote an Atlantic essay on how the brain constructs epiphanies—how we trick ourselves into thinking we’ve had a “religious experience.” It will change the way you think about epiphanies. Perhaps it will lead you to have a religious experience about religious experiences. In his own practice, Sacks helped dozens of encephalitis patients who contracted sleeping-sickness around World War II. In 1969, Sacks began treating them with a controversial new drug named L-DOPA, which quickly woke them from their trance-like states. The book is excellent but I’d offer this suggestion as a way to remember two great men we’ve lost: Watch the film starring Robin Williams, which is very good as well. This anthology is kind of like neurology-focused episodes of House—seven cases of humans whose brain disorders (usually chronically misdiagnosed) ended up giving them seemingly magical powers. This book also introduced to the world an autistic woman named Temple Grandin, an animal scientist who would go on to become one of the most influential thinkers in the behavior and treatment of livestock. Finally—and this is kind of a bonus—but Sacks was perhaps his most eloquent on what could often be a friviolous medium. Just going through his Twitter account I’ve found so many poetic musings on everyday life and generous links to other people’s stories and videos. His final tweet could not have been a better finale for a life well-lived.